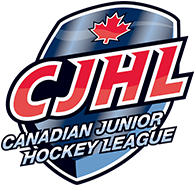 For the first time in league history, the Fred Page Cup Finals in the Chevrolet BCHL Playoffs will feature a matchup of the Vernon Vipers and the Prince George Spruce Kings. Vernon booked their ticket to the Finals with a 3-1 road win in Game 5 of the Interior finals Friday in Wenatchee that gave them a measure of revenge for last year’s defeat at the hands of the Wild in Round 2. Prince George has been dominant in the postseason with a 12-1 record and had been awaiting a Finals opponent since April 2 when they defeated the Victoria Grizzlies to complete their second-straight series sweep. The venues for the Finals will be Prince George’s Rolling Mix Concrete Arena and Vernon’s Kal Tire Place. Prince George earned home-ice advantage by virtue of having more points in the regular season. Through three rounds of playoff hockey, the Spruce Kings have been led by captain Ben Poisson who has 10 goals and six assists in 13 games and authored the series-winning overtime goal in Game 4 against Victoria. The Vipers have been paced by veterans Jagger Williamson and Jesse Lansdell who have each picked up 16 points in 17 games. Lansdell also leads all playoff participants with 34 minutes in penalties. In the PG crease, Logan Neaton has also been a major factor; the BCHL 2nd Team All-Star carries the 12-1 record with a .936 save percentage over 816 minutes played. The Finals present a fascinating contrast behind the bench where 32-year-old Adam Maglio skippers the Spruce Kings and has piled up a combined 72-30-5-9 mark over the last two seasons while Vernon’s head coach is Mark Ferner, 53, a former NHL defenceman who has won three BCHL titles with and two national titles with Vernon, the last of which came in 2010. Head to head this season, Prince George earned a 2-1 home win over Vernon on December 5 and went to Vernon Jan. 19 and posted a 4-1 victory. Long part of the same division, it was not possible for Vernon and Prince George to meet in the Finals. Prince George left the Interior and joined the Mainland Division in 2013. The last time the Vipers and Spruce Kings met in the postseason was in 2006 when they competed in the Interior Division opening round. The Vipers won that best-of-seven series by a 4-1 count. 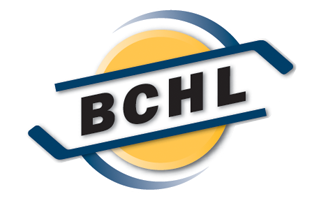 The BCHL champion advances to the best-of-seven Doyle Cup against the AJHL winner. That series is slated to begin in Alberta on April 26.